As it turns out, Millennials hate Millennials just as much as you do! 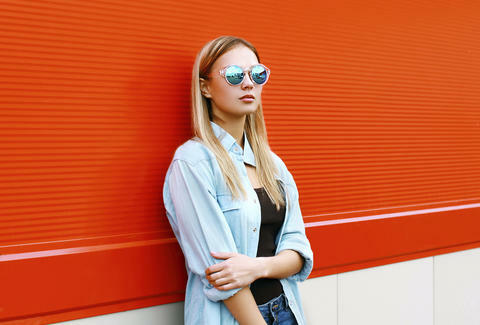 According to a new study from the Pew Research Center, Millennials want to distance themselves from the term that describes them, and just generally hate themselves. That's the spirit! For the study, 3,147 adults aged 18-87 were asked which of the five commonly used generation labels they identify with the most. Only 40% of people aged 18-34 considered themselves part of the "Millennial generation," which bring us to an entirely new concern: none of these people know how old they are. Thirty-three percent of older Millennials even thought they were part of Generation X. Get it together, guys. Boomers, on the other hand, can't get enough of being Boomers. Seventy-nine percent of adults 51-69 identified with the term. Likewise, 58% of those aged 35-50 considered themselves part of Generation X. In addition to hating the term, Millennials also think pretty lowly of themselves. Of all the participants, 59% said they'd describe their generation as "self-absorbed," 49% said they are "wasteful," and 43% said they are greedy. Only 36% of Millennials considered their generation "hard-working," and out of all the generations surveyed, they were the most likely to think of themselves as "idealistic." When reached for comment, all Millennials everywhere said "but, whatever." Lucy Meilus is a staff writer for Thrillist. She hates herself and loves herself. Follow her on Twitter at @Lucymeilus and send news tips to news@thrillist.com.